Lindner Media Productions specializes in producing educational fishing programs, DVDs, videos, national TV commercials, product sales videos, point of purchase videos as well as providing underwater photography to the sport fishing industry. 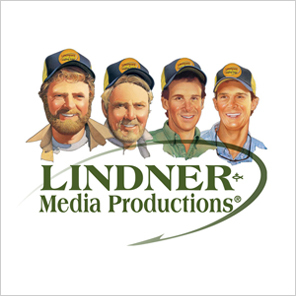 Al, Ron, James, Daniel and Bill Lindner are the creative forces behind Lindner Media and their award winning productions. Lindner Media Productions, in association with Bill Lindner Photography (BLP), produces stunning outdoor photography for magazine publishers, advertising agencies and catalog houses. BLP's photography has graced the cover of several national publications such as Outdoor Life, Saltwater Sportsman, Field & Stream, North American Fisherman, Bass West, Sports Fishing, In-Fisherman, and Florida Sportsman.